Real Flowers Pressed between Glass Wings with decorative metal edges create Beautiful wings on this lovely butterfly suncatcher. 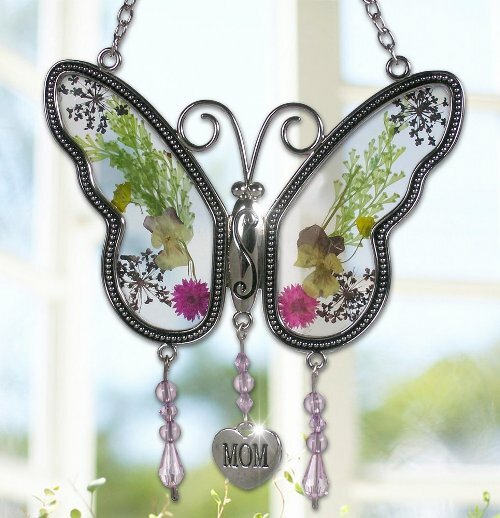 A heart charm, engraving with “Mom” hangs below the Butterfly Suncatcher. It comes with silver Chain for hanging. The measurement of it is 4 1/4 inches x 4 1/4 inches and is 8 inches long when hanging. It can be a great gift for mom for Mother’s Day, birthdays, Christmas, etc. You can hang it in a window, on the porch or over the kitchen sink. The design looks very nice and gorgeous. The quality is also very good. Perfect Gift For Mom for birthdays, Christmas, Mother’s Day, etc. SIZE: Butterfly with Heart is Approx. 4.25 “x 4.25″ Inch. Approx. 8” When Hanging. This purple coffee mug is made of ceramic. This colorful mug is perfect for your super grandma on mothers day. It is comes with the message “I’m a grandma. What’s your super power?” It is a nice collection of Burton. 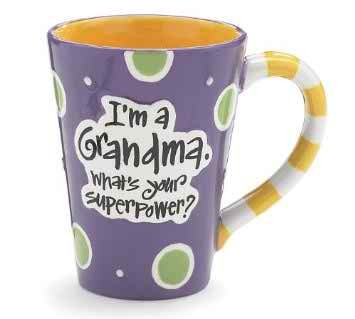 12 Oz Grandma Coffee Mug with “I’m A Grandma, What’s Your Super Power” Great Gift? Measures: 4 1/2 inches length and 3 inches Opening. 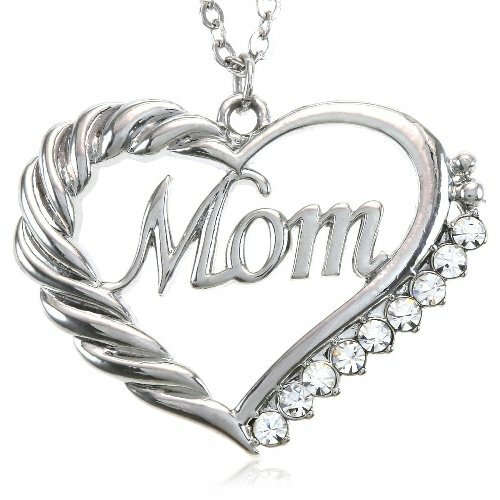 This Clear Mom Heart Pendant Necklace is very shiny and looks amazing. It is perfect for your Mom on Mothers Day, Valentines Day, Christmas or even her Birthday.This heart necklace is embedded with High Quality Rhinestones that will last for many years to come. The length of the pendant is approx 0.875 Inch and the width is 1.25 Inch. The chain is snake type and the length of it is approx. 15.5 inch with 2 inches extension. Perfect Mothers Day Gift Heart Necklace Pendant!